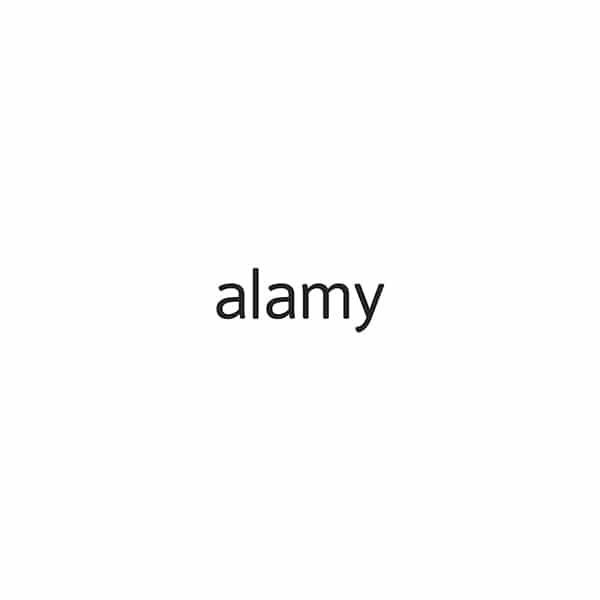 One of the cheapest stock agency. 123RF is compiled of over 7 million good quality free license images. 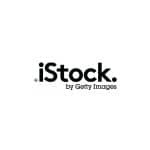 This website provide special rewards program which makes it stand out from other Microstock websites. RF123 special reward program works similar to credit card stars/point program under which you earn points. If you purchase image from website you are rewarded with certain amount of RF points and once you accumulate good number of points you can trade them with presents/gifts offered by website for free. This program is great, unique and profitable from the view point of designers who purchase large quantity of pictures for themselves. 123RF offers Standard image files free license (Read about Free License) along with vector files. The minimum price for single picture is 1 credit (What are Credits?) Moving images can cost you 10-20 credits depending upon the image. The pricing of pictures at 123RF vary as per subscription plans. It can start as low as $0.21 and reach up to $0.68 per picture. The vector files offered for sale have standard pricing of 5 credits each. At 123RF, You can perform a one-time purchase at a nominal cost of just $15 where each credit is worth a dollar. So, by paying $15 you can earn yourself 15 credits. 123RF offers great deal where your credit can be worth more, than just a dollar. The bigger the credit package the lower would be the cost of credits. For instance, if you pay $1000, the cost of credit comes down to as low as $0.83 so you can buy comparatively more number of low-cost images and save money at the same time. 123RF’s subscription program offers a minimum subscription fee of $89 for one month, including 150 downloadable free license images, each photo costing you approximately $0.59 regardless of its size. Downloading images is limited to 5 pictures a day, with no limitations on the size of images. 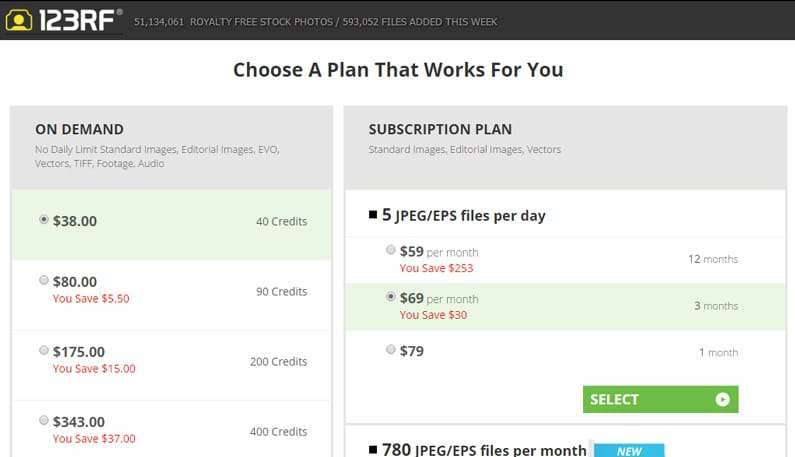 Subscription Program for 365 days costs $749 where each picture’s cost is further cut-down from $0.59 to $0.41. 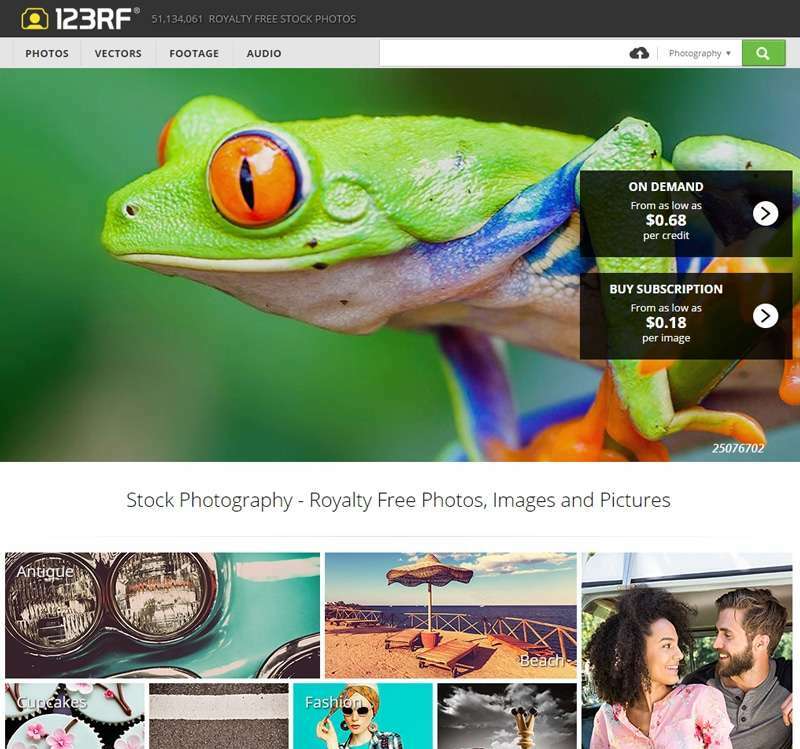 Subscription plan and one-time purchase program at 123RF offers cheap prices compared to other Microstock websites. If you purchase large number of one-time credits or a long term subscription then the cost of per image is further declined and you can save good amount of money in the long run. 123RF’s rewards program allows you to purchase products other than images, such as Ipod, digital camera, computer and external memory… just to name few. 123RF is surrounded by wide variety of images as compared to other Microstock websites. The key factor behind the success of 123RF is the low price offered to the buyers making it affordable for all irrespective buyers go through one-time purchase or subscription program channel. The website’s rewards program is a big temptation for its active users. Instead designers who are hunting for wide variety of original images.